Former Panther David Mitchell sits in his office at Georgia Tech’s School of Interactive Computing. 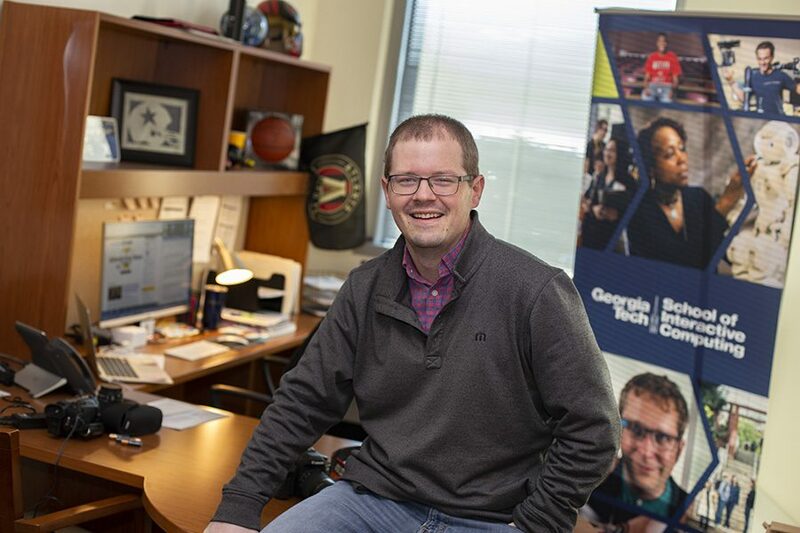 After graduating from the Mill in 2006, Mitchell went from writing to sports for local newspapers to working in public relations and promotions at Tech. Since elementary school, Starr’s Mill alumnus David Mitchell knew he wanted to spend a lifetime writing. Initially, Mitchell put all his focus into sports. Although his concentration would later change, his commitment from a young age has led him to a successful and exciting career in journalism. Growing up, Mitchell’s passion for not only watching but writing about sports didn’t falter. When he reached the Mill, Mitchell was able to begin his pathway in journalism by writing for the school’s newspaper program. Knowing that a lot of other high schools couldn’t provide this opportunity led Mitchell to take full advantage of the class and become the editor-in-chief of the paper. 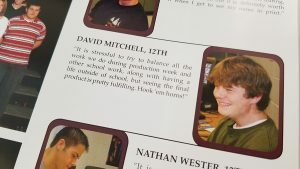 Former Starr’s Mill student David Mitchell pictured in the 2006 yearbook. 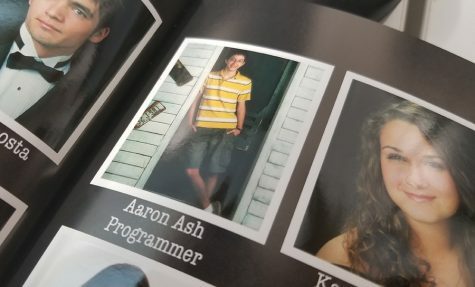 In the book, Mitchell provides a quote about working as editor-in-chief of the school newspaper, the Prowler. By making newspaper his main extracurricular, Mitchell stayed on track to achieve the career he dreamed of since he was a kid. 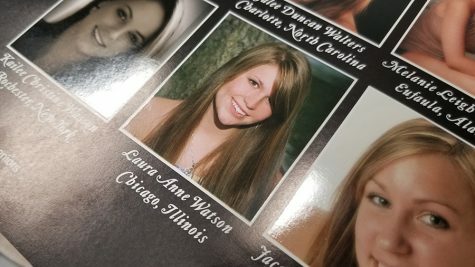 After graduating from the Mill in 2006, Mitchell attended the University of Georgia majoring in journalism with a concentration in magazines. 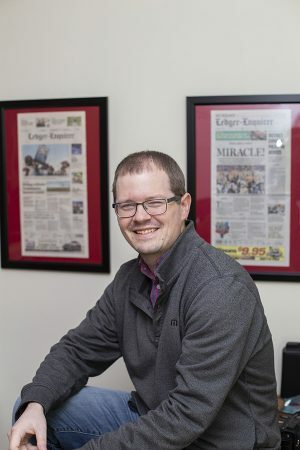 Mitchell’s time and dedication to the Prowler ended up paying off big time for him not only in college but even for working for newspapers in the future. After graduating from UGA in 2010, Mitchell picked up his first job as a sports writer for the Gainesville Times in Gainesville, Georgia. After spending about a year in Gainesville, Mitchell moved to Columbus and began writing sports for the Columbus Ledger and Quire. There he continued to cover mostly high school sports across about twenty schools in the area. In addition to covering high school sports in Columbus, Mitchell was able to attend and write college football games, including the 2013 BCS National Championship between Alabama and Notre Dame. 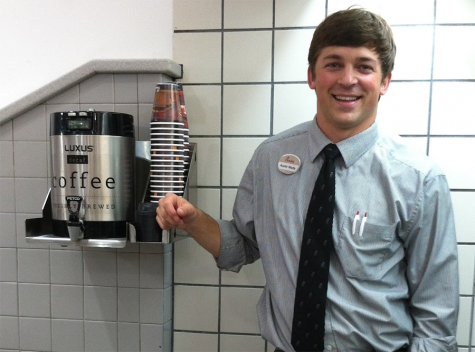 Mitchell’s favorite event as a sports writer was covering the 2013 Iron Bowl between Alabama and Auburn and witnessing Auburn’s miraculous “Kick Six” win. “I remember watching Chris Davis run down the sideline right in front of me to score the game-winning touchdown, running to midfield for an interview, and being swallowed by the Auburn fans who had run onto the field,” Mitchell said. Following five years of sports writing for newspapers, Mitchell realized it was no longer his place. 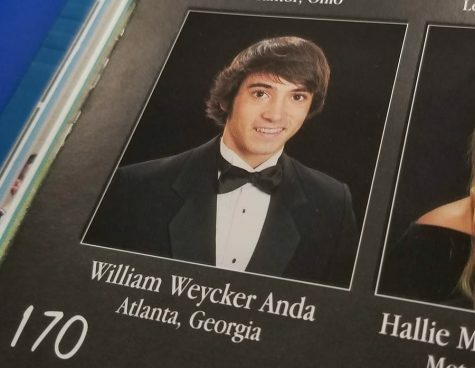 He pursued a change from the sports tasks he knew so well and accepted a career at Georgia Tech in the communications and promotions department of the college’s computer science division. “It’s kind of funny. 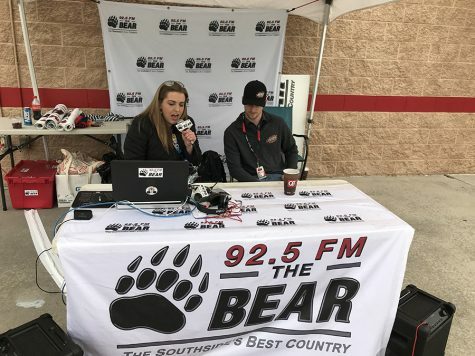 What I always wanted to do was to go into to journalism and that’s what I went into initially, but I think sometimes you have a plan and it’s something you always wanted to do, and you get there and you realize it’s not where you’re meant to be,” Mitchell said. Mitchell has now spent the last three years working at Tech providing PR and marketing support for the School of Interactive Computing. 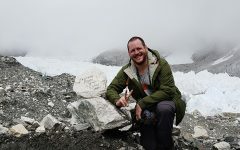 Mitchell’s job now consists of writing about the college’s research projects and explaining them to the community as well as promoting their findings to news sources. Mitchell has gone from summarizing home runs, touchdowns and goals to exploring artificial intelligence, robotics, virtual and augmented reality, wearable computing, and a number of other technological advances. Although the subjects Mitchell writes about now can hardly be related to his sports past, there is one major connection that unites the two: the people behind Mitchell’s writing. Even though Mitchell never expected himself to be writing about technical innovations, he enjoys learning new things every day through writing about a topic he isn’t well versed in. There is always a new project for Mitchell to investigate and to fulfill his curiosity. Mitchell hasn’t entirely left the world of sports though. 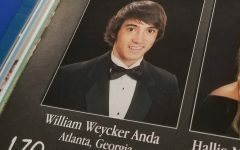 On the side, Mitchell writes freelance for Georgia Tech’s newspaper, the White and Gold, covering the college’s athletic teams. “I’ll always have a spot in my heart for writing about sports and watching it and all of that good stuff,” Mitchell said. Mitchell encourages current students of the Mill who are looking to go into journalism or communications careers to tell stories by asking questions and being curious. Through focusing on telling a story and not necessarily on a certain topic, one can find a way to expand writing to horizons beyond the comfortable and routine. Students interested in Mitchell’s passion for journalism can visit The White and Gold to check out his freelance sports writing or listen to his podcast to learn more about the innovations at Tech that Mitchell documents daily. Mitchell again represents and inspires the endless possibilities achievable by the students here at Starr’s Mill as well as the excellent preparation the school’s programs and teachers provide for the future.